Dongwe Oceanview Resort is definitely one those secluded get aways nestled off the beaten path on the East coast of Zanzibar. 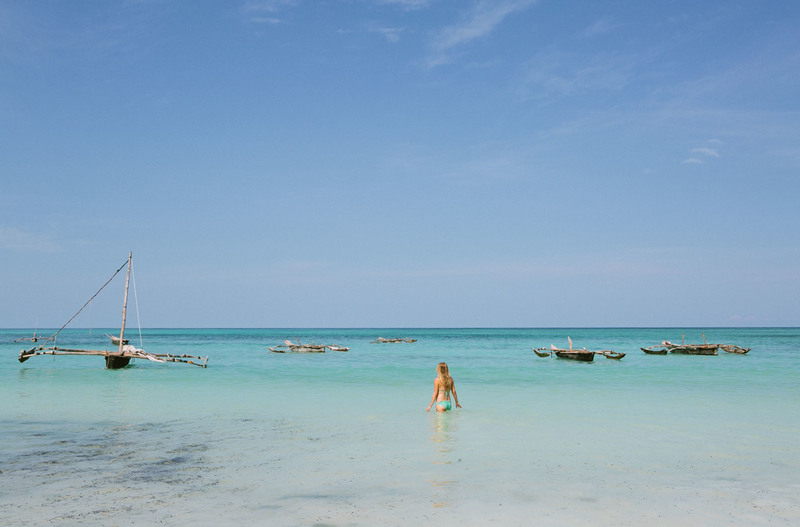 Between it's refined and minimal design, the bright blue water of the Indian Ocean steps from your room, and the friendly culture of local Maasai men it's an oasis to be experienced. We spent our mornings in awe of the unbelievable colors of the sunrise, basked in the sun with books and cocktails, got to know the friendly staff, napped under the palms, and adventured out on one of the traditional old sails to snorkel among the majestic sea life. And among it all, we had to stop and pinch ourselves several times to be sure we were really there. Hakuna matata is something you hear quite often on the island, and as we know from Lion King, means "no worries" so if you are looking for a unique island experience to let go of it all and soak up the wonders of this world, go to Zanzibar and put your feet up at Dongwe. You won't regret it!